There's a new Amazon Echo Plus in town for 2018, and it's a significant improvement over its predecessor. When the first Echo Plus first launched back in 2017, the premium smart speaker offered the same voice-activated Alexa smarts of other Echo devices, but with something approaching acceptable audio – and the smart capability to function as a hub for all sorts of other smart home gear. Here was a way to communicate between your Philips Hue light bulbs, your Nest security cameras, your WeMo light switches and the rest – all through the same voice-command interface you used to check the weather, do your shopping, and stream songs from Spotify or Amazon Music, without the need for individual hub hardware for each gadget. The new Echo Plus 2018 model still offers all of the same functionality, but with a refreshed design and improved audio drivers to help it compete in the current market – which is awash with both competing smart speakers and Amazon's own proliferating product lines. So what place does the Amazon Echo Plus hold in our homes today? The new Amazon Echo Plus is priced at the same $149.99 / £139.99 / AU$229 as the previous model, making it pretty good value given the general improvements to its internal hardware and external smart gear pairings. Comparatively it's still far cheaper than the Apple HomePod or Sonos One, though you could argue they provide a superior audio experience, too. The latest Amazon Echo Show, which also provides a touchscreen, puts the Echo Plus in an interesting position, as it now too acts as a Zigbee smart home hub, stripping the Plus of what was once one of its unique selling points. It has comparable audio, plus that 10-inch touchscreen, making it likely the device you're must going to have to consider against the Plus. The previous Echo Plus was marked by its tall, industrial design and visible speaker grilles. Visually it now has a lot more in common with the standard Amazon Echo, featuring an attractive mesh fabric mesh that will probably look more at home in, well, your home. In keeping with most of the Echo range, the physical volume dial has also been replaced with a number of buttons on the top face of the speaker: two to control volume, one to mute, and an 'action button' to call Alexa to attention. Around the rim is an LED ring that flashes blue when Alexa speaks or hears your wake word, and tracks 30 volume levels when going louder or quieter. At the rear you'll find the usual power port and 3.5mm AUX port for linking to an external speaker or headphones, too. 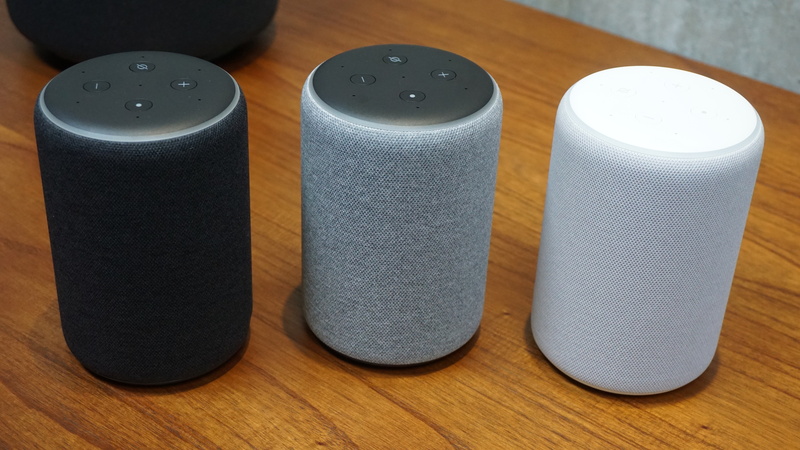 The Amazon Echo Plus is also now considerably shorter, and slightly fatter, with dimensions of 148 x 99 x 99mm compared to the previous 235 x 84 x 84 mm. At 780g (down from just under a kilogram), however, it's also shed a decent few pounds. In terms of colors, it apes the Echo Dot's Charcoal, Heather Gray or Sandstone options. There are other small cosmetic changes: the Amazon logo has moved from the main body to the underside of the speaker, while the 'mute' button has ditched its microphone symbol for a less evocative crossed circle. The upper and bottom rims also curve into the body of the speaker, rather than having a sharp drop. Overall, the new Amazon Echo Plus gives the impression of something warmer and friendlier than before – unsurprising given how wary some consumers still are about having an always-on listening device in their home. But it does now look uncannily similar to a standard Amazon Echo. The sheer number of devices in the Echo range has always been to Amazon's strength – the minuscule Echo Dot, the portable Echo Tap, the screen-based Echo Show, to name but a few – allowing users to tailor their Echo purchase to their particular needs. But as that range expands, the separation between the standard Echo and Echo Plus looks more and more blurred. If you’re buying an Amazon Echo smart speaker of any kind, it’s likely because of Amazon’s voice-activated Alexa smart assistant, increasingly present in all sorts of smart home devices from speakers and amps to a microwave and Alexa wall clock. Seriously. Featuring seven distinct microphones for picking up your various whims and voice commands, the Amazon Echo Plus (2018) is predictably adept at picking out voices from noisy environments, and has the same smart capability to play music and podcasts, connect to other smart home devices, and tell you about the day’s weather, traffic, news, and various trivia. That's not to mention the Alexa 'Skills' system, which allows you to specifically download more enhanced features and capabilities for your specific needs (don't worry, they're free). One of the great strengths of the Alexa ecosystem is that all Alexa-enabled devices benefit from the continual improvement of its software, so anyone still using the last-generation Echo Plus will get the same Alexa experience as someone using the new model. So if you’re thinking of buying this year’s iteration, it’ll be more down to factors like design, audio, and smart hub connectivity. A new audio feature unique to the Echo Plus is the ability to make a 'stereo pair' of two Echo Plus speakers, creating more immersive audio than the mono nature of the standard setup. Another new entry on the Echo line, the Echo Sub, can also be tied in to boost the bass performance. It adds a worthy improvement to the sound of the system – but that's not going to mean much to the person buying just a single Echo Plus speaker. You'd have to be truly invested in the Echo line to opt for this sort of set up rather than, say, a dedicated high-end stereo system paired with an Echo Dot. A truly smart addition comes in the form of a temperature sensor built into the speaker, which monitors the room temperature in the Alexa smartphone app or can be found out by asking Alexa verbally. This is useful as a standalone feature, but also if you opt for a wider setup of smart home devices, like connecting to a smart thermostat to turn up the heating if things get chilly. The main draw for the Amazon Echo Plus has always been in its improved audio credentials over the rest of the Echo range. That argument, however, has got progressively weaker in the face of premium Alexa-enabled hifi systems, like the Sonos One – and even the newly-announced Echo Link and Echo Link Amp. Still, the Echo Plus retains its omnidirectional Dolby Audio and 0.8-inch tweeter, with a slightly larger 3.0-inch neodynium (fancy magnet) subwoofer. There's definitely more of a kick to the bass, even if the downward-firing woofer can feel a bit tacked on, with the lack of a mid-range speaker making the gap between the high and low frequencies a bit too apparent. It's not quite premium audio, but still achieves a pretty convincing impression of a full, warm-bodied sound. For casual day-to-day use it's perfectly capable of capturing the airy vocals of Ariana Grande's No Tears Left To Cry, or bringing out the clash of orchestral string instruments and pumping bass in Hot Chip's I Feel Better. On grounds of sound quality alone, the Amazon Echo Plus really seems worth the small jump in price from the standard Echo – that is, if you're not an audiophile committed to buying something more high-end. 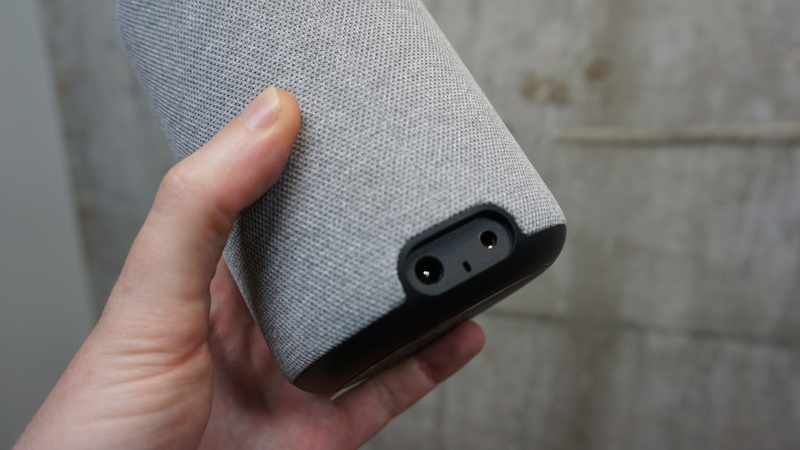 Meanwhile, the AUX port and Alexa's multi-room functionality mean you can always connect to other external speakers if the mood strikes you – but more on this in the next section. We've talked a lot about how the Amazon Echo Plus functions as a standalone speaker – but what about how it connects to the rest of your smart home? A big selling point of the previous Echo Plus was ZigBee: a smart home interface that could connect the speaker to a range of other smart home devices that wouldn't otherwise be able to communicate with an Echo device. Cue smart switches, cameras, thermostats and bulbs suddenly under the dominion of your central Echo Plus speaker, to be commanded with ease over the Alexa app or by standard voice control. A Philips Hue White Bulb is even bundled in with your Echo Plus for free! 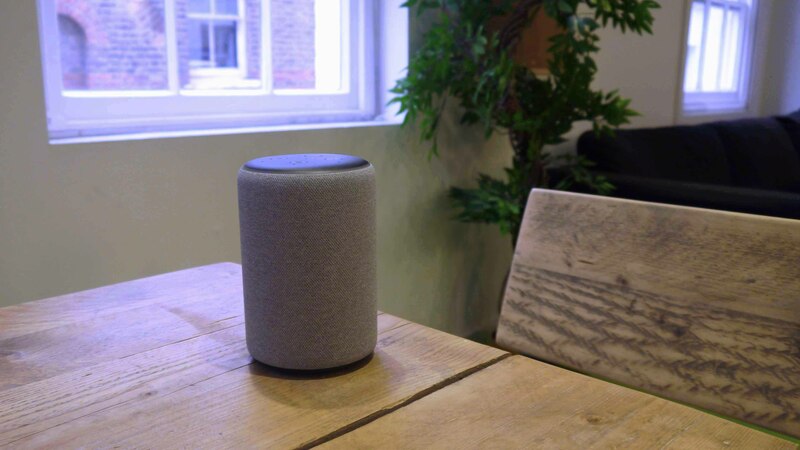 Alexa's hold on the market, however, has meant that manufactures are increasingly choosing to simply build Alexa functionality directly into their products, meaning that any Echo device can connect to them, regardless of whether they come with ZigBee or not. Be that as it may, ZigBee still allows you to connect to certain devices you might not be able to otherwise, and Alexa generally does a fantastic job of controlling various systems and devices all in one place – all of which can be individually named for easy voice commands through the Echo Plus. When it comes to other Echo devices, you'll usually want to avoid having too many in the same room, if just because it can be fiddly trying to figure out which one you want to speak to. 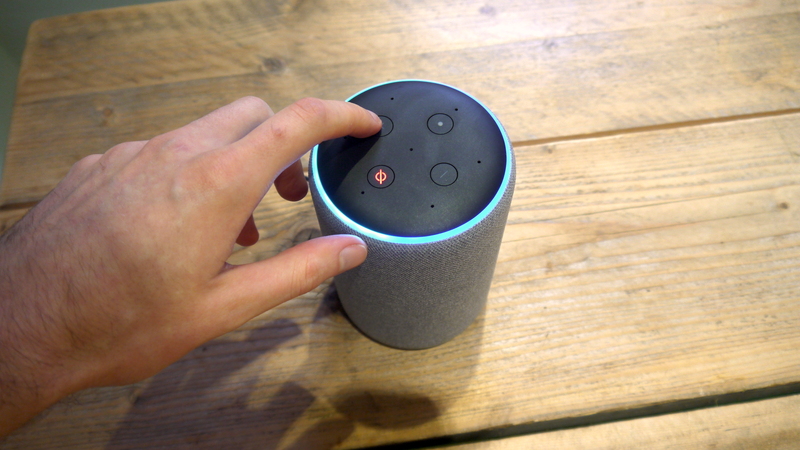 But it's relatively easy to connect them in the Alexa app, and then enjoy sending announcements, messages, or voice calls to other Echos in the home or beyond. There's wider potential to link up with Amazon's Fire TV or Fire TV stick – or more recently, the Fire TV Cube – which requires you to head into your Alexa app 'Settings' to get it talking with your Echo. Even when linked up, though, it can be a hassle to get them to communicate reliably. It's not too hard to summon Amazon Prime Video and supported services like Netflix, or just request a specific TV show or title and see where it takes you. Asking Alexa to play Bojack Horseman yielded results, though anything with a less unique name could get confused with the Echo Plus' music search, if you don't specify the Fire TV clearly in your command. Even when watching the Netflix Original show on the TV Stick, we then found the Echo Plus was unable to pause, skip, or generally do anything to it that wasn't opening and closing the app entirely – or searching for a different title. We're conscious these may primarily be issues with pre-launch software, so we'll be updating this section in the near future. There are certainly strides being made for this sort of in-house connectivity, but at the moment you're probably better off using your streaming stick or Fire TV separately – and with the remote. The Amazon Echo Plus 2018 version offers an attractive overhaul of the smart speaker's design, positioning it more as a lifestyle product than an industrial sound-vent. This, along with its new temperature sensor and enhanced audio drivers, make it an appealing proposition for those wanting a multi-purpose smart speaker with more capable sound than the standard Echo. There are, however, a lot of other options out there. If the Echo Plus won't offer the sound quality you need, there's always the Echo Link tied to a separate speaker or Sonos One – or even something out of the Alexa ecosystem entirely. After the redesign, the Echo and Echo Plus now also seem to have more similarities than differences, and it may be Amazon won't see the need to maintain both products in the long term. The ZigBee smart home hub features – carried over from the previous Echo Plus – are also less of a draw when so many manufacturers are simply building direct Alexa compatibility into their devices. Overall though, through its combination of Alexa smarts and mid-range audio, the Amazon Echo Plus (2018) is a smart way of beginning or continuing your foray into the smart home.